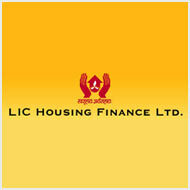 LIC Housing Finance has rolled out a novel home loan product christened Freedom on a floating rate basis. Under the plan, loaning amounts up to Rs 30 lakh would be provided at 9.9%, loans from Rs 30-lakh to Rs 75 lakh at 10.35% and loans worth Rs 75-lakh to Rs 1.5-crore can be available at 10.75%. The plan will facilitate clients an option to switch to a fixed rate plan for 5 years after the disbursal of the initial loan sum. The company also said that it has backed out its Advantage plan, on fears that it could be considered to be a teaser loan rate plan. LIC Housing Finance's Chief Executive Officer, V K Sharma, stated, "It was not a teaser rate scheme. It would become a dual rate scheme after five years. We had sought a clarification from the regulator on it being a teaser rate scheme. Since we did not receive any clarification, we decided that it was better to withdraw the product."